This site explores how novelists, poets, and dramatists write about "the political," broadly defined. I’m not exactly well-versed in 9/11 literature, but reading Falling Man in class is following very closely on the heals of my having read Jonathan Safran Foer’s Extremely Loud and Incredibly Close over winter break, so for some reason this leaves me feeling like I can make comparisons and draw conclusions that I’m probably not actually qualified to make/draw. Both Falling Man and Extremely Loud have a peripheral focus on the actual falling man; he’s not an integral part of either plot, but he’s still in there. 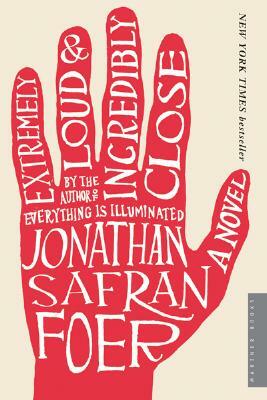 In Foer’s novel, protagonist Oskar Schell thinks that the falling man could be his father, who was killed in the attacks. Oskar, like Justin, is a precocious little kid who builds a separate world for himself as a sort of coping mechanism after the attacks — a world where he believes himself to be practically communicating with his father beyond the grave by means of a “reconnaissance expedition.” (Kind of a long story there, and I don’t want to spoil anything. If you haven’t read this book, I highly recommend it.) The world to which I’m referring to in Justin’s case is the one of Bill Lawton, the still-standing towers, monosyllabic speech, etc. Also, and arguably most interestingly, both novels are told from the perspectives of multiple characters. To me, this speaks to the nature of 9/11 literature. 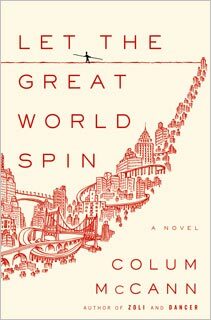 Consider Colum McCann’s Let the Great World Spin, even. It’s not about 9/11, but it deals heavily with the twin towers and their almost imposing presence in New York City. (Also of note is that is was published post-9/11, in 2009.) This story, too, is told from multiple perspectives, and the pay-off at the end of the novel is when all the story threads collide due to the towers’ imposing, though still somehow majestic, nature. Maybe 9/11 is too big an event, and we’re still too close to it, temporally, to feel as though a single character’s perspective serves as an adequate fictionalization. We as a society may not yet be fully equipped to deal with the feelings of isolation/solitude/loneliness that come with post-traumatic damage control. When someone you love dies, in the days after their death there are all sorts of loose ends to tie up — you clean out their apartment, pick out a casket, call everyone who should know, and still, after that, is the wake and the funeral. The days after that kind of trauma are usually full of other people, and as they wind down maybe you start to feel a little worried about how well you’ll maintain this impressive game face once you’re by yourself again. What I’m getting at is, we’re still in those couple of days; still calling family members, still “making arrangements.” We’re not even a decade removed from the attacks, and if we’re not ready to be alone yet, we could not rightly rely on any one of these characters to tell 9/11 by him or herself. Remember what I said about drawing conclusions that I’m not quite qualified to draw? Well, there are several for ya. This entry was posted in Falling Man, Uncategorized by spacephace. Bookmark the permalink.